Third Party Online Ordering Fees: Are They Worth It? Third-party online ordering systems can be helpful to businesses. They take generate sales, and even new customers, and can be convenient for restaurants. But at what costs? If you’re a growing small business, the fees can be exorbitant. Some restaurants use five or six different third-party online ordering systems, including GrubHub, DoorDash, Eat24, or Seamless. Transaction fees can take a whopping 10% cut from restaurants, and still leave businesses with operational tasks. Some orders might come via email, some arrive at a tablet POS at the storefront, and some require re-entry into your existing POS systems. When you start adding manual tasks that are inconsistent across third-party systems, the time and labor costs really start to add up. The result can be employee confusion about processes, and delayed food deliveries to impatient customers. Furthermore, any restaurant using third parties is ceding control over the customer experience—a crucial piece of marketing that creates repeat customers and ensures happy first time visitors. While an in-house POS system can track consumer behavior, including valuable data like frequent orders, when they order, and what day of the week they order, third parties give an incomplete picture. In fact, some of those systems are keeping that information for themselves, and could potentially sell that data to someone else. While your customer doesn’t realize that your business isn’t responsible for that happening, he or she will still associate ordering from your restaurant with it. What’s a restaurant manager to do? Ensure you’re really benefitting from third-party systems. What are your margins, on average, from your online sales? When you factor in additional labor costs to your front of house (or whoever is doing system input), do you really make enough of a profit to give up controlling the user experience? If the answer is no, you don’t have to stop using third parties. As we said at the beginning of this article, there is some acquisition benefit to using third-party systems. If Doordash is popular in your demographic, use it to acquire new customers. Use an in-house POS system that can accept online orders. Systems like MobileBytes for iPad can empower restaurants and their employees to control a customer’s entire experience. With online ordering POS software, you won’t lose any of your profit to a third party, and you can gather value behavioral data about your customers. With these insights, your marketing team can create targeted campaigns that will keep customers coming back, again and again. Encourage customers to use your own online ordering POS system. There are a few strategies to test with this concept. Perhaps you offer specific deals on your website, that are only applicable if a customer orders there. Or, offer a benefit like faster delivery for certain zip codes. If you use third-party systems to acquire new customers, make sure their orders arrive with printed, website-exclusive offers like a coupon on a pizza box or menu with website-only specials. 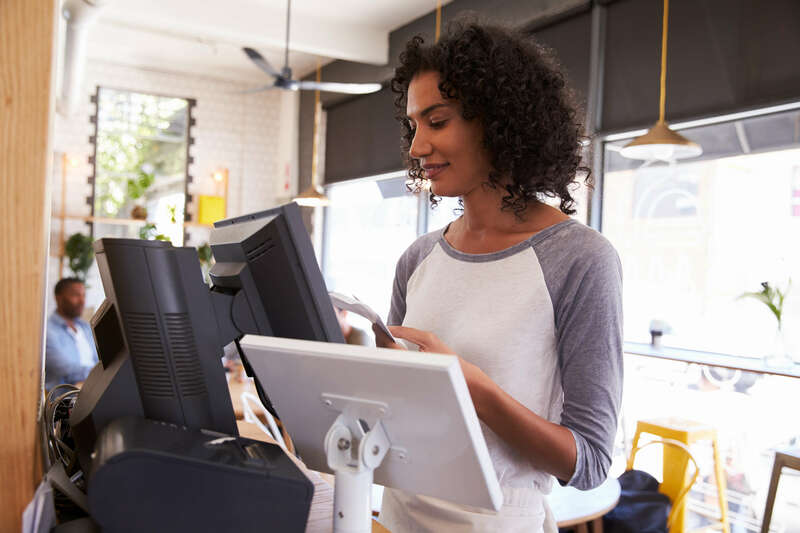 By integrating third-party ordering systems with a larger marketing strategy, you can create well-defined purposes for each part of your POS systems. From there, you can maximize ROI by applying resources to the campaigns that acquire and grow accounts and make sense of your POS software by getting clear visibility on consumer data. Looking for a new POS solution that provides customer behavioral data without the transaction fees? Check out our iPad POS software. At just $139 monthly, you’ll save on third-party fees in the first month. This entry was posted in Articles, Online Ordering on February 20, 2018 by Heather Cox.